The Primrose is the Queen, 'tis true. But surely I am King! With laughter and with pride! For a week every year, our whole world waves with blue flowers. 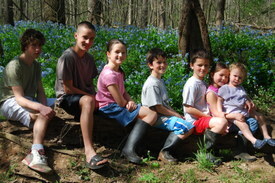 We go, day after day, down to the banks of a well-loved creek and plop down in the midst of an endless carpet of blue. 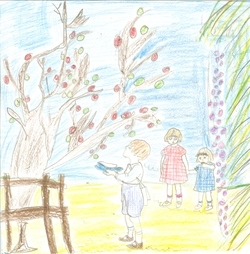 The first day there, the children delight in re-discovering familiar landmarks. There is the tree that Trip and Christian hauled out into the middle of the creek years ago. It's still there, still bringing back memories of lots of time in the woods with faraway friends. There is the fallen trunk where we line up all the children for a picture every year. It's crumbled quite a bit in the past year. I don't think it will hold them all next year. We spread the blanket and break open the lunch basket. Even the food is always the same: cheese, crackers, grapes, and lots of pistachios. We sketch blue flowers and little white "Fairy Spuds." Someone always "accidentally" falls in the creek. We fill our winter-weary souls with the crisp blue breath of springtime. And it's never enough. We never want to leave and we always want to return. Last year, after the bluebells had bloomed and faded, my friend Louise sent me an extraordinary book. 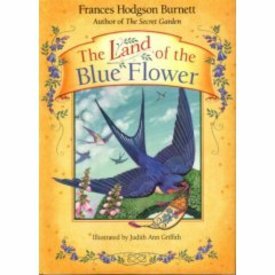 The Land of the Blue Flower was written by Frances Hodgson Burnett, beloved author of A Secret Garden. I read the book myself and then forced myself to wait to share it with my children until the bluebells bloomed this year. It is a classic fairy tale of love and hope and how we are nurtured by nature. In the Land of the Blue Flower, singular things came to pass. And so it is every year at the bluebells. This year, we wandered down there a very winter-weary crew. Some of us still coughing, Karoline a full five pounds lighter than she'd been before the flu, tired to the bone of being cooped up inside and sick. And over the course of the week, we all bloomed. The sunshine and the sheer beauty of our surroundings worked a magic that medicine can't. I was talking to my friend Linda around the middle of the week. I told her how I had it in me to pack everyone and everything up, hike the short hike into the woods and plop down on a tarp for the next few hours. Then, I had enough energy to walk back to the van and get us home. This was all followed by a nap. But while we were there, I smelled the fresh air and watched my children play. There was no agenda, just a creek to wade in, trees to climb, a natural world to get to know a little better. She told me she'd tried to persuade a couple of friends to come with her but they begged off, saying they were too tired and too stressed to take a day off. And Linda and I knew that that is precisely when one needs a day in the Land of the Blue Flower. This week has been a beautiful medley of blue flowers and the sights and sounds of the papal visit. God is very near indeed. I see Him in my land of blue flowers. I hear Him in the voice of the Holy Father. Everyone should have a Land of the Blue Flower, a place where Fairy Spuds welcome her and waving blue flowers remind her that hope and love are eternal and always within reach. 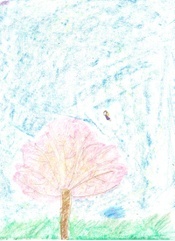 Squinting across the creek at the endless fields of blue, I whispered a little prayer for the people who shun fairies. I do hope that they don't shun flowers, too. Happy September Saturday to You! please fall into my hat. They'll not be pleased with that! please fall down upon the ground. I cannot say how you've been found. please fall into my hand. and wait for you to land. stand all around the tree. All will soon be picked and stored. Is there not just one for me? then September will be done. This Rabbit Trail is Sprinkled with Fairy Dust! A funny thing happened during the first week back to a school year rhythm. In the absence of firm plans and without the books we thought were coming, a bigtime rabbit trail was born. 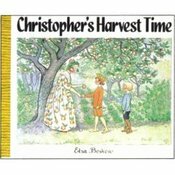 Mary Beth's plans from Oak Meadow were delayed, so she set about to find some copywork in A Journey Through Time. She was happy to find some delightful flower fairy poems from Cicely Mary Barker. She read the poems and chose one to copy and then drew a picture to accompany it.She decided she was going to work her way through all the fairy poems in the book. It just so happened that I was hanging out at amazon.com at the time and I just so happened to one-click this book. I tried to nudge Nicholas towards the drawings I'd done to go with the alphabet quest story from Christopherus' First Grade Syllabus. He wanted nothing to do with them--or the story. He'd heard me tell Katie and Gracie that it was "B" week and he'd heard a "B" themed fairy tale to go with their picture. Mr. Order dug in his heels and insisted that "B" was fine for him, too, since he could not possibly start with K, P, Q, and W (the letters I'd chosen to present). Oh, and by the way, he said, he already knows his letters and how to read and he found a coloring a book leftover from last year's fairy study and the "B" page just so happened to be yet uncolored. He spent the rest of the day copying that "B" fairy and recreating scenes from Christopher's story in his main lesson book. The hours I'd spent at Google Calendar trying to get too many good ideas to form a coherent plan were rising to haunt me now. Why do I do this every year? Why do I think and think and think (though this year I didn't write intricate plans, I definitely thought them) and then dissolve into something altogether different than I'd thought it would be? Because I listen to my children. And this year, they were hearing fairies. They took up the beeswax and created Children of the Forest. 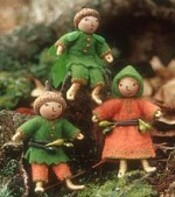 They built more fairy houses in the backyard.They began to fashion felt folk who looked a lot like Woody, Hazel and Little Pip. Soon, we decided to begin our days with "September" from Around the Year and recite it often enough to memorize it. 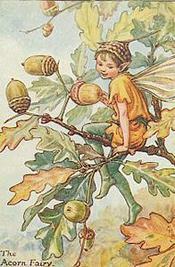 They gathered acorns at Patrick's soccer game, all the while talking about the Acorn Fairy as if she were a familiar friend. By now, enthusiasm was bubbling up and spilling over. Mary Beth was sharing her fairy-fondness with her friends and I was telling their mom all about my plans gone awry. Katherine had a little fairy dust in her pocket too and suddenly we were obsessed. I found myself ordering botany nomenclature cards to go with my botanical fairies. I ordered a refill for my Klutz fairy-making book. We dusted off Fairy Houses and watched the video version as well. (Incidentally, the video was shot in New Zealand and we all know there are definitely fairies in New Zealand;-) I found fairies to teach us how to knit. My friend Rebecca assured me they would probably prefer knitting needles like these. Did you know that Frederick Warne published Cicely Mary Barker's books, too? 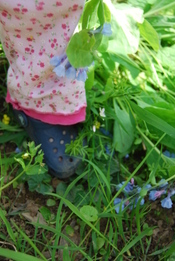 And she has a website as lovely as Beatrix Potter's. When you are there, you can learn the fairy code and write letters to friends in Texas. 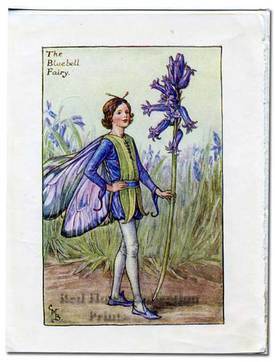 And those of us who love Beatrix Potter's Journal are equally delighted with Fairyopolis (same sized book, same idea--they're brilliant, those Warne boys;-) Those botany cards will work perfectly with the fairy finder. Type in your favorite fairy and learn its song, some folklore, and some botanical facts and some planting indications--that's if you can tear your eyes away from the whimsical pictures. Shhh...don't tell the children, but there's an awful lot to learn here. While I appreciate the beauty, the materials and some of the methods of Waldorf education, I am not a follower of Rudolf Steiner, his educational philosophy, or his religion. I am a practicing Catholic who is very clear in teaching the faith to her children. Please see this post for any further explanation of incorporating methods or materials that might also appear in Waldorf schools into your home. Take inspiration from what is good and what in in harmony with the true faith and leave the rest. If you can't discern, then leave it all alone. Listen to, contemplate, and exchange ideas. Serve Others:Children who are charged with household responsibilities reap the benefits of learning life skills, time management, and perseverance. If your children are trained in household routines from the time they are old enough to toddle, they will have a firm foundation of right habits upon which to rely. Over the long haul, children derive satisfaction at a job well done which goes far beyond canned warm fuzzies and carries them much farther into the real world than advertising hype ever will. I first selected the passages over a month ago and then I put the project aside in order to attend to Real Life. But my own words rattled around in my head and I found that I believe them more today than when I wrote them. And some of them were written nine years and four babies ago! They've stood the test of time in my home. I own them. They are me. But they are the best of me. They are what I strive to be, not what I always am. I've resolved to use my list--I call it "A Considered Childhood"-- as an organizing principle as I plan and record our days. So, without further ado, it's time to dust off Faithful over Little Things, and record our days once more. I had planned to post this last Friday, but couldn't bear to sit with it at the computer. This poem was given to all who attended Nicole's funeral. Sadly, it is even more appropriate this Friday, as grief is compounded with the news of Joshua's death. Put no difference in your tone. Let it be spoken without affect. Without the trace of shadow on it. There is absolutely unbroken continuity. 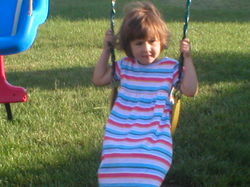 I was pushing Katie on the swing yesterday afternoon and was reminded of this poem. What amazed me was that I could remember the poem perfectly, though I haven't thought of it for a long time. What affinity children have for memorizing and how perfect the poetry of Robert Louis Stevenson is to tuck away in the corners of their young brains! I am from freshly painted soccer fields, autographed Nike soccer balls, and ripped up backyard nets. I am from the brick house on Kettle Lane with toys in the front yard and goals in the back. I am from the grass of soccer fields, the bluebells at Bull Run (not far from the soccer fields), heat and humidity of Memorial Day tournaments, hauling dirt for the front yard garden--lavender, daisies, and daylilies. I am from Daddy trips to Colorado, to Minnesota, to England, to Florida and from Beanie, Superman and Bee. I am from born athletes and good cooks. I am from Father Bob baptisms and donuts on Sundays and lighting candles at the Shrine. I'm from Fairfax, Virginia and Italy and Poland, from Spaghetti Carbonara to eating more dough than cookies. From dancing when they scored at Reading to winning the National Championship in Orlando with Mr. Lee. I am from lapbooks and notebooks and workbooks galore. I am from trophy shelves and more trophy shelves and bigger trophy shelves. From ribbons and medals, hanging from my bed rail. I am from souvenir jerseys and bobbleheads and every season’s media guide. This week's poetry is at Blossoms and Bees, where it is the introduction to our latest rabbit ant trail! I am from reams of paper, Little House books, Hanna Andersson to match Katie, and ballet slippers. I am from the tulips, the basil, the parsley, the flat backyard with soccer goals. I am from singing Christmas carols to awaken Mommy and Daddy on Christmas morning and cooking Italian meals. I am from Lisettes and Elizabeths and Michaels and Patricks. I am from being Catholic, bedtime prayers, Tomie de Paola, everybody’s icons, front door crucifixes, holy water fonts, feast days and family rosaries. I’m from a devotion to the Little Flower and John Paul the Great. I'm from Fairfax, Virginia and Italy and Norway and Scotland and Poland, from basil and garlic and bringing Daddy breakfast-in-bed. I am from crying when Nicky was a boy and getting roses when Katie was a girl and dancing with Michael in that itchy dress at Jimmy's and Michele’s wedding. I am from Mommy’s camera and blogging. I’m from the hope chest filled with baptism candles, a ribbon bouquet from Mommy’s wedding rehearsal, broken boards from Tae Kwon Do, old pictures of Mommy wearing a wig to cover her baldness, pictures of babies that all look so much alike it’s hard to know who is who. I am from playing dolls with my sister, listening to pots and pans being cleaned while I fall asleep, reading chapter books until I can’t keep my eyes open, school baskets, nature study, the Montessori shelves, and watching Katie and Gracie grow. Rebecca and Lissa inspired me to try my hand at this. The template linked at Lissa's blog makes it really simple. I found the exercise of writing it very thought-provoking. I'm going to have my children give it a try! I am from bicycle helmets long before they were required by law, from Garanimals, and much-coveted Limited jeans. I am from the seashore, the rocky Newport cliffs, the cabana at the beach, the sand dollars of South Carolina, the swimming lessons with Grandpa off the coast of Long Island. I am from pumpkin bread at Thanksgiving and always talking with one’s hands, from four generations of Lizette, Lisette, and Elizabeth, all of them teachers and sticklers for style. I am from stand up straight, act like a lady, and keep your house clean. I am from a mother and grandmother who believed in Catholic education and spoke with perfect grammar. I’m from a Naval hospital in Rhode Island and a frequent childhood visitor to other antiseptic corridors, my head wrapped in bandages. But I am rooted in Italy, dripping with olive oil and smelling of basil, recognizing much too late the rich heritage of many great aunts, all of whom talk with their hands and smell like tomatoes and basil. I’m from waving cloth diapers from those rocky cliffs while Daddy’s ship pulled away into the vast sea, from visits with Nanny where I ate blueberry breakfasts in a Clorox-clean kitchen, from playing house—and dreaming dreams-- for hours with my little sister (and only constant childhood friend), if only to keep her from running down the street, wearing nothing but a wig. I am from a storage room on St. Dennis Drive whose shelves were lined with canned tomatoes and homemade strawberry jam and are now dissembled and dispersed, sending wedding dresses, spelling bee ribbons, and fading pictures of gap-toothed girls at Disney to homes in houses bigger and fuller than those we ever dreamed, homes, that, surprisingly are much too far from the sea. As we continued down our Emily Dickinson trail, we read the introduction in Poetry for Young People: Emily Dickinson and followed some of the suggestions there. This series of books is really a charming introduction to poetry. Sweet illustrations keep even the little ones engaged. Unfamiliar words are defined for the children unobtrusively on the page. .There is just enough biography to set the poems in context and some gentle instruction on poetic devices. · the last word in line two rhymes with the last word in line four. Wherefore, mine eyes, thy silver mists? 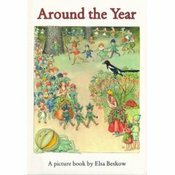 Of course, this book led us to our bookshelves, where we found Poetry For Young People: Emily Dickinson and further acquainted ourselves with the mysterious lady in the yellow house and her words.